The last of the Cyber Week deals are quickly expiring, but if you act fast you can still grab a great price on Xbox Game Pass, Microsoft's big subscription games service. At the cost of a single, crisp American dollar, you can currently get a full month's access to Game Pass (normally $9.99). Obviously the idea is to rope you in for a month at this ridiculously low price and hope you stay on-board when it returns to normal pricing, but even for $10 Game Pass is a pretty spectacular deal. You get 240 games across Xbox One, Xbox 360, and the original Xbox, including brand new exclusive games as soon as they release. That means for your dollar you'll get instant access to Forza Horizon 4, Sea of Thieves, or if you hang on until February, Crackdown 3. Streaming services for games are still very much in their infancy, but having access to full games that you can download and save to your console is a nice security blanket —it makes Game Pass slightly more attractive than the various "Netflix but for games" services springing up at the moment. 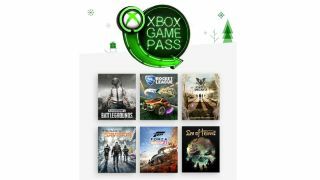 Particularly if you've just purchased a new console in the Black Friday/Cyber Monday madness, Game Pass is a fantastic way to add a massive, instant library without spending hundreds or thousands of dollars. Be aware though, if you're already a Game Pass subscriber, this won't extend your membership.